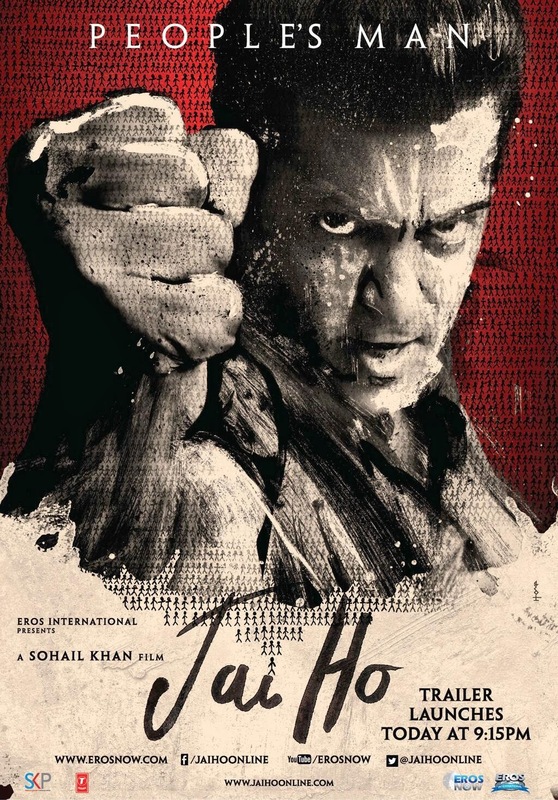 Mega Superstar Salman Khan launched the trailer of his upcoming film Jai Ho at Chandan Cinema, Juhu yesterday. Here, we shared some exclusive pictures from the event. We, just like everyone, still waiting for official trailer to be released, but in meanwhile we can review the teaser of Jai Ho which released yesterday on Star Gold and Eros Youtube Channel. Update: Since the teaser launch on Youtube yesterday night, on Eros Channel it has got more than 3,61,000 clicks with more than 8,100 likes. And on Star Gold Youtube Channel, it has got more than 2,62,000 clicks with more than 5,200 likes. In just one day, on these 2 official channels, the teaser has been watched 6,23,000 times and has got 13,300 likes. Incredible! Jai Ho is a remake of Telugu movie 'Stalin' starring Chiranjeevi which was inspired from the Hollywood flick 'Pay It Forward'. The main theme of the movie is to create a nationwide chain to help people. Total impact of the teaser is really really good. It has got thumbs up by fans and public generally. Sajid-Wajid are expected to give some chartbuster songs and there are huge expectations from Amal Malik also. Be ready for an exciting treat in late January!